Paint & Sip at The Studio Bigfork! We're bringing in the sunshine! 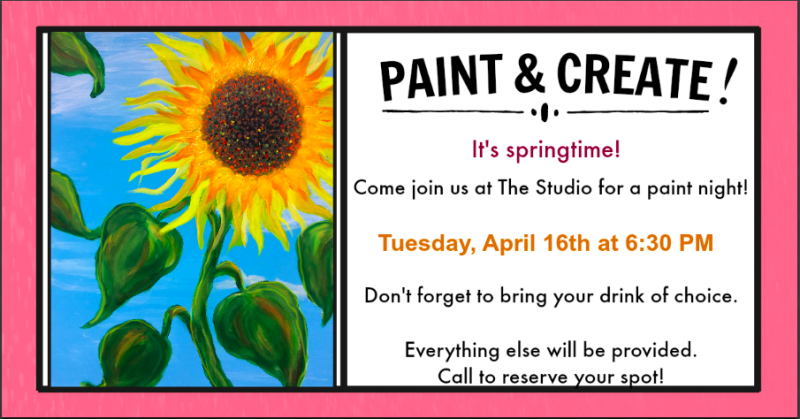 Join us for a fabulous night painting with friends at The Studio in Bigfork. We will be painting this cheery sunflower to help brighten your day. All materials provided. Just bring your beverage of choice and your friends! $35.00 per person. Please call Jane at 406-250-2209 to reserve your spot today!